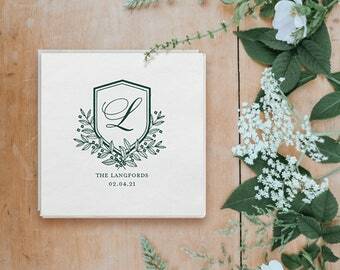 Custom foil-pressed guest towels with a whimsical wreath, monogram, names & date! This listing is for GUEST HAND TOWELS which measure approximately 4.25 x 8". 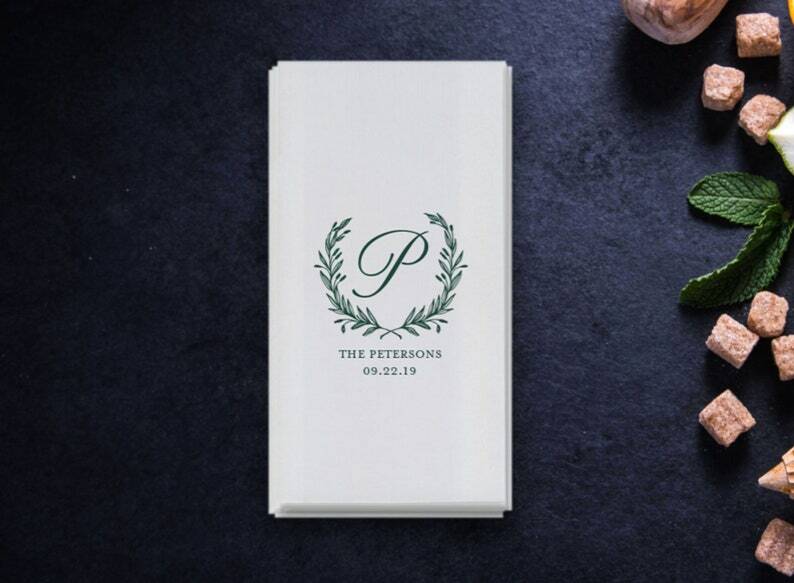 ▶ For LUNCHEON or DESSERT size napkins, message us! 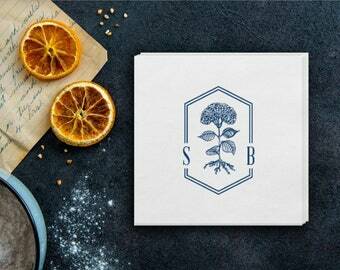 ▶ For DINNER size napkins, message us!